it is two sides fold-able design. Will upload the another design as well. I like the foldable design.. but I cant see what the design of the inside the covers page (inside the foldable page)? 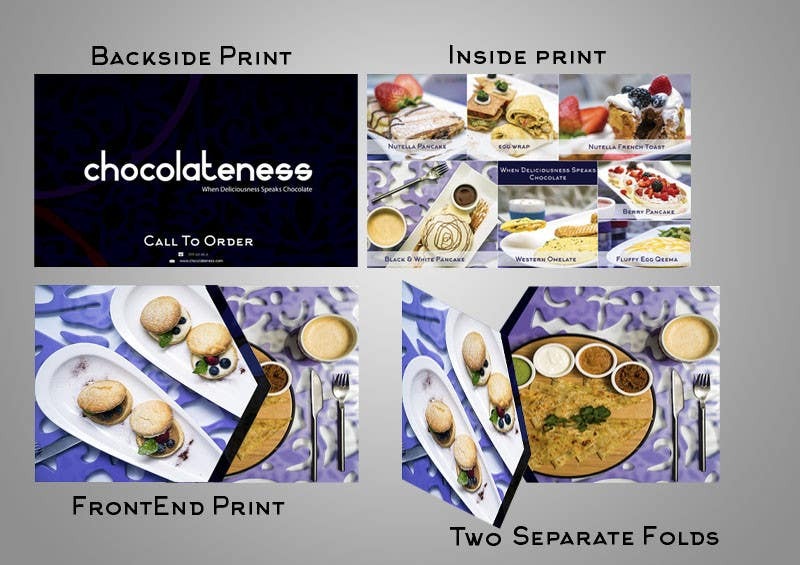 the brochure will open like a menu card in most restaurants but rather than just one side it will open from both sides. the scones will open on the left and the paratha meal will open on the right side. the center image will be the Inside Print.